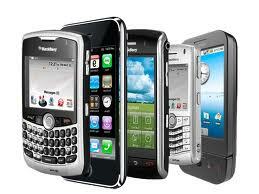 Agape Learning & Optometry Center: How Close Do You Hold Your Smart Phone? How Close Do You Hold Your Smart Phone? The explosion of smart phone sales are resulting in many visual complaints. Reading texts and Internet pages with the phone is often done at much closer distances than reading a book. The implication is more eye strain, fatigue and headache if this activity is done for longer periods of time. A recent study published in the American Academy of Optometry indicated lens prescriptions will need to be altered for these problems. Problems can result because of close reading distances and font sizes associated with the smart phone. The average font size with a smart phone was comparable to that of newspaper print with text messages. However Internet page fonts were smaller. The average reading distance (working distance) with text messages was 36 centimeters and 32 centimeters with Internet page viewing. This compares to an average of 40 centimeters with book reading. The difference can result in eyestrain and headaches, especially for those over age 40. It is important to let me know if you are having eye strain or headache with smart phone viewing. If so, I can prescribe lenses which optimize your sight at the distance commonly viewed. This prescription can be a big help for these types of problems. --James B. Mayer, O.D., F.C.O.V.D.